A rendering of the $500 million dollar expanision at a new facility that will include two new stadiums and two new parking garages. 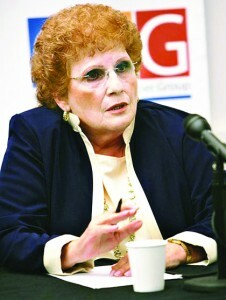 USTA file photo. Borough residents have had mixed reactions to the USTA’s expansion plans at Flushing Meadows Corona Park since they were first announced last June. And, a recent round of visits by NYC Parks and tennis officials to local community boards has done little to sway opinions on either side. The expansion plan, which will utilize an additional .68 acre on top of the 42 acres the USTA currently sits on, includes construction of two new stadiums and two parking garages and is in addition to other proposed projects at the park which include a new soccer stadium and retail mall near Citi Field. 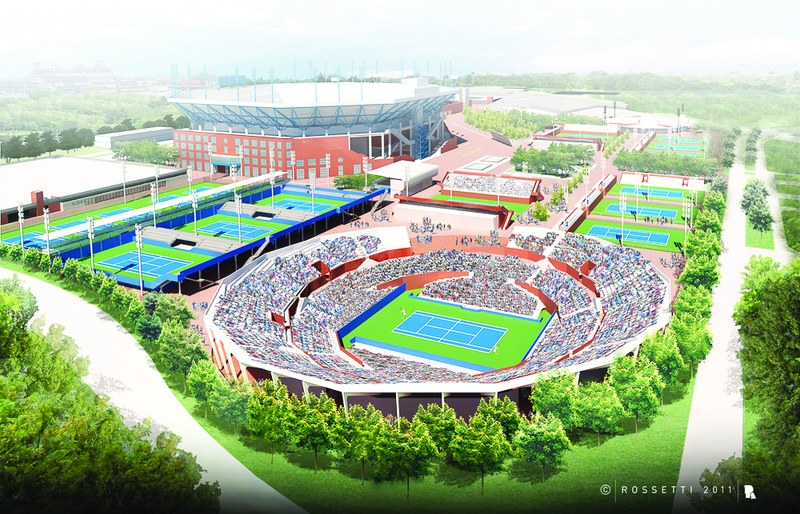 “We appreciate the opportunity to present the USTA’s vision for upgrading and ensuring the national tennis center remains a world class facility,” said USTA spokesman Chris Widmaier in a phone interview. Proponents of the tennis center’s expansion, including Mayor Bloomberg and Borough President Marshall, say that the project will be a boon to the local economy while providing additional jobs. The USTA says that the annual US Open tournament creates 6,000 seasonal jobs with about 585 full and part-time positions for Queens’ residents. Councilwoman Karen Koslowitz who represents the council district which will host the new stadium is a staunch supporter of the project. USTA file photo. In addition, many local union members said that the USTA provides them with steady work. But, for every supporter of the USTA’s expansion designs, there are skeptics whose objections include an increasing loss of green space, increased traffic and congestion in the park as well as concerns over labor violations in the past. “The USTA has created an extremely lucrative business utilizing this public parkland that last year made $ 275 million while giving just $ 2.5 million back to the city,” said Geoffrey Croft, of NYC Park Advocates, a nonprofit group dedicated to improving public parks. 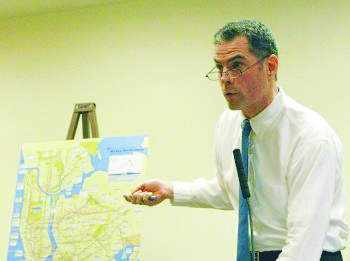 Geoffrey Croft of NYC Park Advocates remains skeptical about a reduction in green space and other environmental drawbacks inherent in the project including increased vehicular traffic and congestion throughout the surrounding communities. USTA file photo. Parks officials have said that many of the nearly 400 trees which will have to be removed during the expansion may be replanted elsewhere in the park. Community Board 9 member Alex Blenkinsopp also had concerns about the USTA plan. Blenkinsopp said he was particularly concerned about the association’s request for more land. “Some opponents of the expansion have said the USTA promised in the 1990s not to ask for more land in the future. The council statement said the USTA has “not shown itself to be a friend of working people,” citing a checkered history of alleged labor violations, including a lawsuit filed several months ago alleging it violated state and federal labor laws by denying proper wages and overtime pay to its chair umpires and line judges. 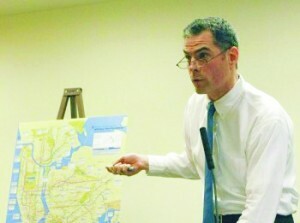 But, Jack Friedman, executive vice president of the Queens Chamber of Commerce, still felt the expansion was a positive. “This project will bring good-paying union jobs to Queens,” said Friedman at last week’s CB 9 meeting.